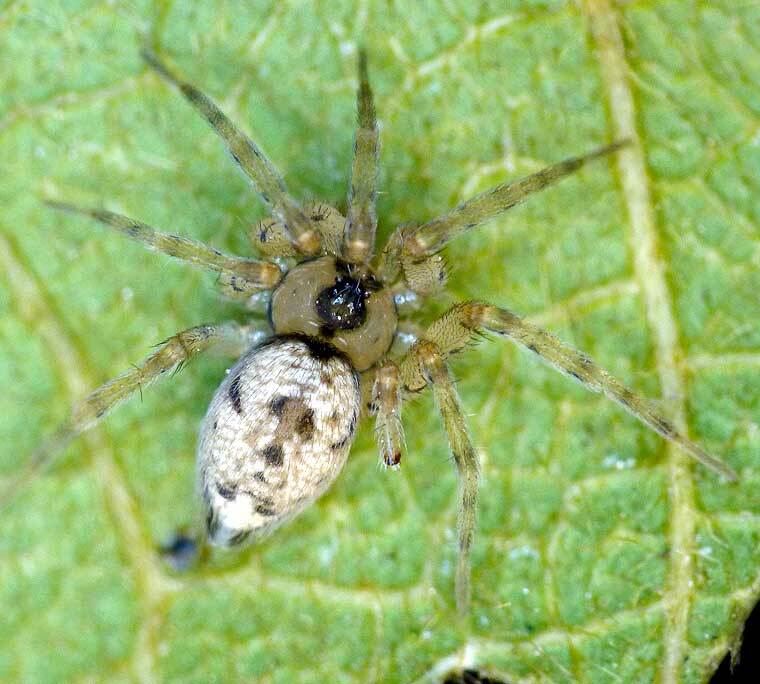 Oecobius navus is a small cosmopolitan cribellate spider species of about 2-3mm. It is light grey with darkly annulated legs. It builds flat webs with lateral openings with a diameter of about 3cm under rocks, on ceilings and along the corners of walls with protruding signaling threads. Although this species is sometimes called O. annulipes, there is also a species of that name that only occurs in Algeria. Common names for these spiders are Wall Spider, Baseboard Spider and Stucco Spider. The spider hides under the web and runs very quickly out if she detects a prey or when disturbed.